We’ll also take a look at traditional Pay As You Go tariffs where you pay for usage on a per-minute, per-text and per-megabyte basis and compare them to the 30-day bundle options that most UK networks now offer. Let’s go. Why Choose a PAYG SIM Deal? Pay As You Go, or PAYG, is the simplest way of getting service to your phone. You get a SIM card from your operator, you top up with credit, and you use your phone. Credit is deducted from your account for every calling minute, every text message, and every MB of data you use. When your credit runs out, your phone has no service until you top up with more credit. Simple, right? There’s no monthly bill. You pay for service as you use it, as opposed to at the end of the month, so you can’t spend more than you have. You won’t need to pass a credit check. Whilst most operators will make you undergo a credit check to get a mobile contract for PAYG this isn’t an issue. If you’ve got bad credit or no credit record at all, this means PAYG or a no credit check sim is the best option. You can change your mind at any time. If you decide to go with another operator or to sign a mobile contract, you can do so. This is unlike a contract where you’re tied into the contract for a set amount of time and will have to pay a penalty if you want to break the contract. PAYG is simple and is a great choice for kids, for those who move often, or for people who prefer not to run up debt and instead to pay for what they use immediately. If your phone is out of credit you can’t make calls or send texts until you top up again. Unlike with a contract where your phone will always work. Prices with PAYG tend to be a little higher per minute, text, and MB of data than with a contract. PAYG SIM cards do not let you get a new phone in the same way as a contract does. You will need to already have a phone to use with your PAYG SIM, or be prepared to buy one for full cost up front. However, for many people, PAYG is simply the best and easiest way to go about getting service to your phone. So what do you need to be on the lookout for? How can you top up your credit? Depending on the operator you choose there are plenty of possibilities and most offer pre-paid bundles that automatically recur every 30 days. With some operators, you can buy top-up cards in supermarkets, with some you need to have an online connection, with some you can SMS to get more credit, with some you can buy credit at a cash machine. You need to think about convenience here. Can you top up your credit at 1 a.m. on a Saturday morning?! With any mobile phone contract, you need to think about coverage. Not all operators get great reception in all areas of the country. You need to be sure that you’re going to get good reception in your local area and anywhere else where you spend time. You can find out more by checking the coverage maps on individual operator’s web pages, or by checking out a general coverage map from OFCOM. Some operators offer bundles on their PAYG service. This means that rather than just buying credit and using it, you can instead buy a certain number of minutes and texts and a certain amount of data for a set price. This price is usually cheaper than simply using your credit. Not all operators do this, but most do, and depending on how you use your phone, bundling could be to your advantage. There are two kinds of mobile data, 3G and 4G. Not all operators offer faster 4G mobile data and even those that do don’t always allow PAYG customers to use 4G. If you’re looking for 4G data then do ensure that the operator you choose not only has it but allows PAYG customers to use it. Our top pick for the best pay as you go SIM in 2019 is giffaff. Owned and operated by O2, giffgaff gives its members the exact same coverage as the primary network. The SIM works best for light to medium users who can make use of the goody bag bundles. On giffgaff’s £10/month goody bag, you’ll get 3GB of data along with unlimited minutes and unlimited texts. Before choosing a new PAYG SIM Deal, it’s worth knowing the differences between two different types of usage options on most pay as you go SIM cards. Which is best depends on your usage requirements But with no contracts to sign, you can easily interchange between the two. For example, you might need data for 1 month only, so you can buy a 30 day bundle then revert back to a standard top up when it expires. Best for light users with no need for mobile data Best for regular users and smartphone users. Pay-per-minute, per-text and per-megabyte basis. Rates are often higher compared to a bundle. Get a 30-day bundle with calls, texts & data included. Pay a fixed monthly amount which is known in advance. Your credit doesn’t expire providing you use it to keep the sim active. Allowances expire after 30 days, after which you’ll need to buy another bundle. No credit check and no tie in No credit check and no tie in. If you bought the phone you’re planning on using from an operator it may be locked to that operator, meaning you can’t use it with a different network. Vodafone, Tesco Mobile, EE and some phones from O2 are sold locked. If you plan on using a phone bought from any of these operators with a different operator then you’ll need to contact the operator you bought the phone from to ask if it’s locked and get instructions on how to unlock it. Unlocking is easy and usually free, though there may be some conditions attached. If you already have a phone number (either from an old contract or from another PAYG operator) then you can keep that number. You’ll need to contact the operator that originally gave you the number and ask for your PAC (a code), and then pass the PAC along to your new operator. You should then have the same number on your new SIM card. Before we get into the best PAYG plans around, let’s first talk a little bit about how we chose our top picks. Obviously we looked at prices first, since finances are a major issue for most shoppers. We also looked at convenience for top up, whether operators offered bundles or not, and in the case of operators that don’t own their own infrastructure we looked at which network the company leased infrastructure from. We also looked at customer feedback and recommendations, because knowing which problems other users have had let’s us know what kind of experience new customers can expect. Finally, we spend most of our time around mobile phones, tech heads, and people who are pretty much phone addicts, so we got plenty of professional advice as well! Now, without any further ado, let’s take a look at the top PAYG plans from UK operators. Credit Expiry: None, but you must use the services at least once every 180 days to keep the SIM active. If you don’t use the SIM In 270 days all activity will be barred from your SIM card and all credit will be removed. Asda’s free PAYG SIM is as easy as it gets, and prices aren’t too bad either. If you don’t use your phone much, then those per minute, per text, and per MB charges should work out just fine. However, if you’re a heavier user than Asda does offer bundles (which range from £5 for 125 minutes, 2000 texts, and 250 MB of data, up to £25 for unlimited texts and minutes and 15 GB of data) which are valid for 30 days. And Asda bundles are great value for money. Asda has a minimum top up of just £1, making it ideal if you’re on a strict budget. And PAYG credit doesn’t expire at all with Asda, though you do need to use the phone or top up with credit at least once every 180 days to keep your SIM card from being deactivated. The only real downside here is that top-up isn’t incredibly convenient. You’ll need to text or call or buy a voucher from Asda themselves. If you’re out of the country this could be a problem. Plus, many other operators offer a far more convenient online top up service. Credit Expiry: Credit doesn’t expire but you need to make one chargeable call every six months to keep your SIM live. GiffGaff offers a varied PAYG programme that really has something for everyone. Most people with GiffGaff choose to go with their Goody Bag system, meaning you buy bundles rather than relying on just using credit. And there are plenty of bundles available, from a simple £5 option (150 minutes, 500 texts, 250 MB of data) all the way up to a £25 option (unlimited minutes, texts, and data for 30 days). All are valid for thirty days from the time of purchase. You’ll also get free calls and texts to other GiffGaff users. With GiffGaff the minimum top up is £5. Goody Bags expire after 30 days, and you’ll need to top up once every three months to keep your SIM card active. The disadvantage of going with GiffGaff is that you’re really locked into that Goody Bag system, making it less flexible than other PAYG providers. However, given the prices of bundles, that might not be a big deal. Credit Expiry: 1p mobile requires that you top-up by £10 at least once every 120 days. Any unused credit is rolled over when top up. If you’re looking for affordable, then mobile service doesn’t get much cheaper than this. 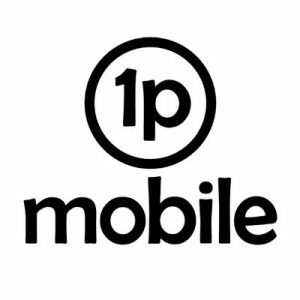 1p Mobile does exactly what it says, charges 1p for everything. If you’re a light user this is fantastic and by far the cheapest way to get service to your mobile. However, heavier users might find that this adds up fast, since 1p Mobile don’t offer bundles for minutes and texts. They do, however, offer data bundles that go from £4 for 500 MB up to £25 for 10 GB. There’s a minimum top up of £10 with 1p Mobile, which could be pricey for some people. Credit itself doesn’t expire, but data bundles are valid for only 30 days, and you’ll need to top up once every 120 days to keep your SIM card active. Whilst 1p Mobile is a great choice for light users, the real disadvantage for heavier users here is going to be the lack of bundling. You might find that your service works out cheaper with an operator with more bundles, depending on how often you text and call. Going classic PAYG with O2 isn’t a bad idea, the rates are fairly cheap (though 1p Mobile is cheaper). But where O2 really shines is their bundles. £13 gets you 1000 minutes, unlimited texts and 1 GB of data. That’s not the cheapest, but O2 is one of the few operators to offer big data bundles. Their largest bundle is £30 and includes unlimited texts and minutes and 50 GB of data. If you’re a big phone user, then O2 is ideal. You get plenty of perks with O2, including discounted cinema and travel tickets. Minimum top up is £10, which is a bit pricey. Credit itself doesn’t expire, but bundles expire after 31 days. Finally, you only need to top up once every six months to keep your SIM card active. 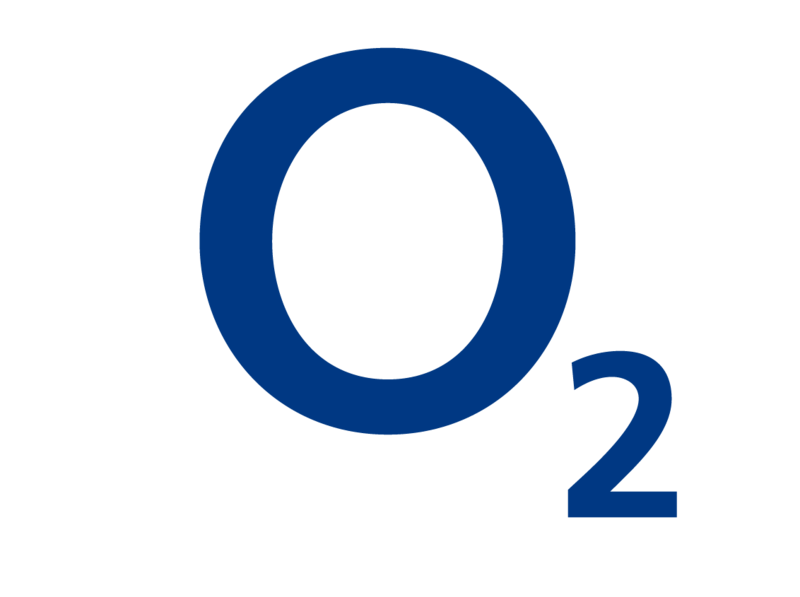 If you’re a big phone user then O2’s plans are pretty good. However, if you’re a light user you’ll probably save by looking elsewhere. Credit Expiry: None but you if you do not use the service for 180 consecutive days i.e. you do not carry out any chargeable outbound activity such as making an outbound call your services will be restricted. This is followed by a 90 day grace period giving you 270 days before the account is suspended. Vodafone’s take on PAYG is a little different from other operator’s. Basically, they charge 20p per minute, per text, or per MB of data. But that’s capped at £1 a day. After you’ve spent £1, you can continue using as many minutes, texts and as much data as you’d like. 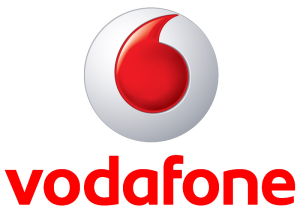 Vodafone does also offer bundles which go from £5 (150 minutes, 250 texts, 100 MB of data) up to £30 (3000 minutes, unlimited texts, 20 GB of data), though other operators tend to offer better value deals on data than this. 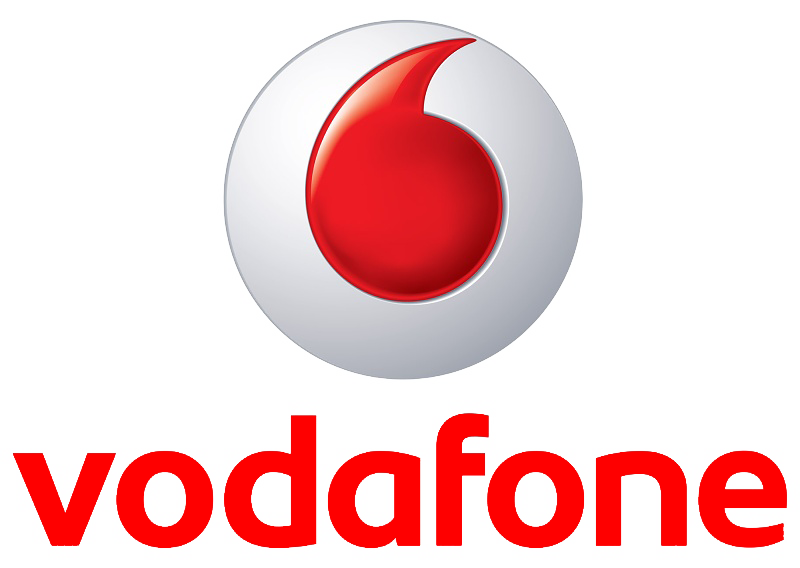 The minimum top up with Vodafone is £5. Credit is valid for 270 days (and that includes bundles), and you’ll need to top up once every 270 days to keep your SIM card activated. The long validity period for bundles could be a big selling point here. Vodafone is really best for mid-range phone users who can take advantage of that £1 daily spending cap. Big users looking for bundles and light users will probably be better off looking elsewhere. Credit Expiry: Credit will expire after 90 days of inactivity. You also must top up at least once every 365 days to keep the sim active. 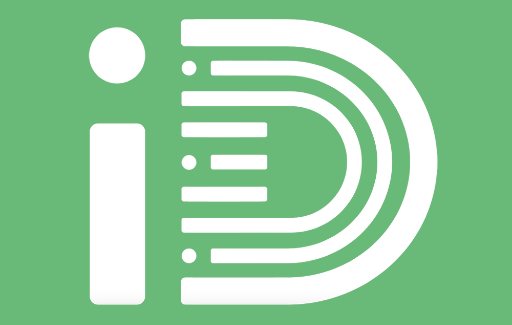 iD mobile gets some pretty cheap rates, which could be a good selling point for lighter users. And they support bundling too, making it a good choice for mid-range phone users. Bundles range from £5 for 125 calling minutes, 500 texts, and 100 MB of data, up to £15 for 1000 minutes, unlimited texts, and 4 GB of data. They don’t have bigger bundles though, so heavy users may want to look elsewhere. Minimum top up is £5 with iD mobile, so not too pricey. But credit is valid for just 90 days (30 days for bundles), and you will need to top up once every 90 days to keep that SIM card active, which is a pretty short duration when compared to other networks. 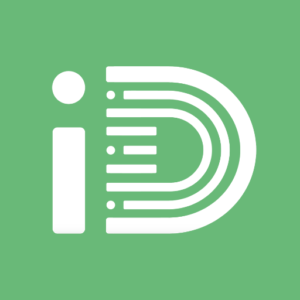 Disadvantages of going with iD include that short validity period for both credit and SIM cards, as well as the fact that big phone users will probably find better deals elsewhere. Basic prices may seem a little high with Tesco Mobile when compared to other networks, but you may be getting a better deal than you think. If you go with classic PAYG with Tesco Mobile every time you top up, Tesco will triple your credit. So top up £10 and you’ll get £30 of credit, which isn’t bad. And if you’re a big user then Tesco Mobile offers bundles known as Rocket Packs as well. These run from £10 for 500 minutes, 5000 texts, and 3 GB of internet, up to £20 for 2000 minutes, 5000 texts, and 8 GB of data. There are no bigger bundles, however. Minimum top up is £10, which is on the pricey side of things. However, all credit is good for 6 months and so is your SIM card. Top up at least once every 6 months and you should be fine. The downside of using Tesco Mobile? It’s tough to say. Big phone users won’t like the lack of large bundles. Basic prices are kind of high, but with that triple credit scheme you’ll probably come out ahead. Finally, Three offers something for pretty much everyone. Their basic prices are cheap enough for light users, and big users will appreciate their bundles. 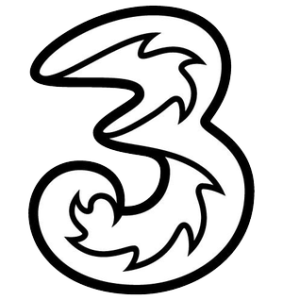 Three offer a wide range of bundles going from £10 for 3000 minutes, 3000 texts, and 1 GB of data, all the way up to £35 for 3000 minutes, 3000 texts, and unlimited mobile data. 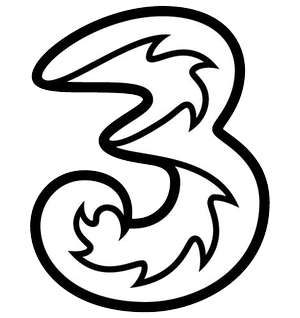 So whether you’re a big phone user or you only use your mobile occasionally, there’s a Three PAYG pan right for you. If you’re paying online then the minimum top up is £5, for all other methods of payment the minimum top up is £10. And your credit and SIM card are both valid for 6 months, meaning you’ll only need to top up once every 6 months to keep your SIM card working. The exception to this is bundles, which are valid for 30 days only. It’s hard to find a down side to using Three. That £10 minimum top up could be an issue for those who don’t choose to shop online. Other than that though, Three offers a great range of PAYG options. If you don’t use your mobile phone frequently or need a secondary phone as a backup, then you want to get a traditional pay as you go sim with no recurring monthly charges. 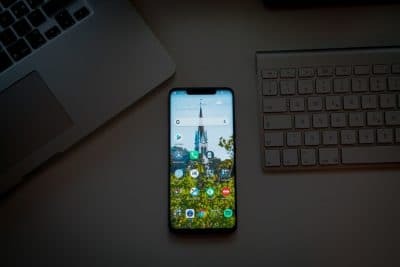 When choosing the best network for a light user, you need to take a look at a number of factors including minimum usage requirements, coverage and how you can top-up your SIM card. Fortunately, we’ve done the hard work for you, and we’ll go through what to look out for when choosing a Pay As You Go SIM card as a light mobile phone user as well as recommending which SIM to go for infrequent use. If you’re using your phone infrequently, then you want to avoid SIM deals that have a recurring monthly charge. You might think that only applies to SIM only contracts, but some certain pay as you go tariffs require a monthly top up to keep the sim active. If you choose one of those, you’ll be paying for airtime that you never use. Instead, choose a “traditional pay as you go SIM” where there are no monthly charges, and you only pay for what you use. This means you’ll pay nothing in the months where you don’t use your handset). 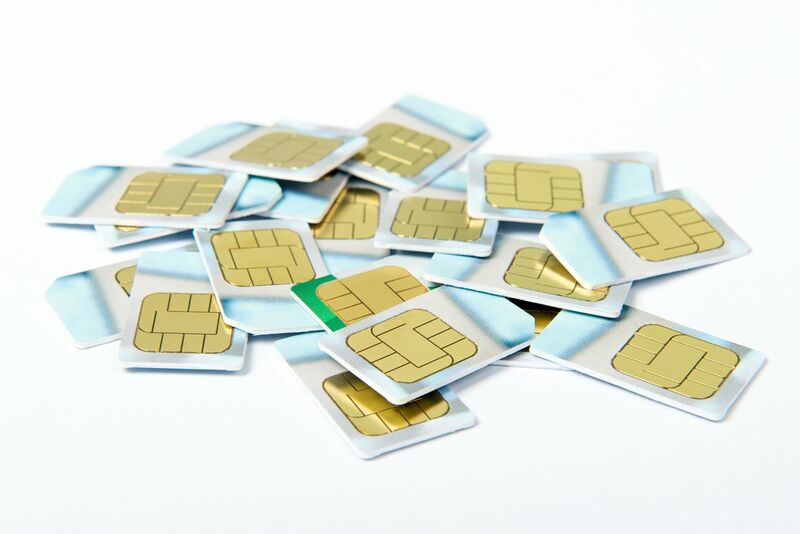 Some SIM cards come with minimum usage requirements, so you need to check what these are for each particular SIM. 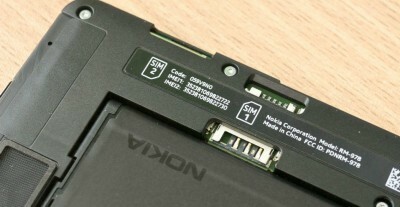 In the UK market, all networks have a minimum usage requirement to keep the SIM card active. Otherwise, if the phone number is not being used, the mobile operator can suspend the service and recycle the number. Mobile networks do this to ensure that the numbers they have are used efficiently. On some networks, you’ll only need to use your SIM card for a chargeable call or text message once every 270 days. However, others have much shorter time frames with ID mobile-only offering 90 days. 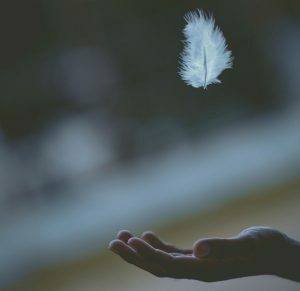 If you do have a SIM with a short inactivity period, then it’s possible you can get inadvertently disconnected, losing your number and remaining credit. This can be infuriating as when it comes to using your phone; it’s no longer usable. We recommending choosing a network that only requires you to use the phone once every 270 days. Coverage and signal is also a key factor as many customers in the market are looking for a phone purely for use in emergencies. Any other network you might see is called a virtual network operator or MVNO. They piggyback off one of the big four providers networks but provide the same level of coverage. For example, if you use Asda Mobile, you’ll be getting the same coverage levels as an EE customer. Like minimum usage requirements, all pay as you go providers have minimum top-up amounts and a set period of how long each top up will last for. The best pay as you sim deals have top-ups from as little as £5 a month and providing you keep the SIM active by meeting the usage requirements, the credit will never expire. However, on some smaller MVNO networks, your credit expires after 90 days and is removed from your account. As well as the top up amount, it’s best to find a network that has a range of available top-up methods, ideally allowing you to top-up both over the counter via cash and remotely (e.g. online, by text message or by phone call). Finally, remember to look at the exact per-minute, per-text and per-megabyte rates, so you know har far your top up will go. For light users, this generally isn’t too big a concern, but it still makes sense to choose a pay as you go sim that will make your money fo further but without compromising on the other factors listed above. You are also best off picking a network that offers prices bundles competitively. You might not need one often, but a package of data/minutes/texts can be useful when your usage goes up, for example, if you will be using more data during a holiday or making more calls than usual. ASDA Mobile is our recommended pay as you go SIM for low usage mobile users. When you get a free SIM card from ASDA Mobile, you can use your mobile phone with no recurring charges or tie-ins. The only requirement is you use your phone every 180 days. If you don’t the sim will be restricted for making outbound calls/texts and you’ll fall into a 90 day grace period before the sim is cancelled. So effectively, you must use the SIM once every 270 days. You will also get 99% population coverage from EE, including on 2G, 3G and 4G. The minimum top-up is £1 (or £5 if you’re topping up in-store). Usage costs are 8p/minute, 4p/text and 5p/MB. Asda also offers bundles from £5/month, and as long as you keep your SIM card active, your top-up will never expire. All that is why we’ve crowned Asda as the cheapest payg sim card for low usage. Strictly speaking, there aren’t any sim cards that don’t expire but some have much more forgiving expiry dates than others. On most major networks, your Pay As You Go credit doesn’t expire providing your SIM card remains active. On some smaller networks like iD Mobile, top-ups are sold with only a 90-day validity period. So if you don’t use your credit during the 90-day period, it will expire and will be removed from your account. We picked Asda as our best SIM for light users and it’s also the best pay as you go sim for expiry length. With Asda you effectively get 270 days before you need to use the SIM. You should, however, try to use your SIM card at least once every 180 days to keep it active. The reason is that if there are 180 days of inactivity on your account, outgoing phone calls will be forwarded to ASDA’s automated service. So you’ll need to call them to reactive the SIM. Inbound calls and messages still work. After 270 days of inactivity on the account, unused credit will be removed and your SIM card will be cancelled. You can still re-activate the SIM by calling ASDA Mobile but you must do so before 360 days of inactivity. At that point, your SIM card will be permanently cancelled and your phone number will be recycled. With all that in mind, we can’t exactly say Asda’s SIM comes with no time limit at all, but 270 days is a very long time and if you don’t use the SIM in that time frame, do you really need one? If you don’t require an allowance of minutes or texts, then you might want to consider a pay as you go data only sim. Preloaded data SIM cards. These expire after 30 or 90 days. In some cases, they can last 12 or 24 months. 30-day data only SIM cards. These deals are pre-paid and renew every 30 days automatically. Data only deals give you all the data you need in one upfront payment and you can easily top up. You can read more about pay as you data sim cards along with some recommendations in our in-depth data guide. In the table below you can see the Pay As You Go prices on most UK mobile networks that run a PAYG service. We’ve also listed the prices for sending picture messages via MMS and call charges if you dial special rate numbers like 084, 087 and 09 numbers. This doesn’t include the service charge that you may incur on top of the per minute billing. Remember call charges like the below only apply when you are using your phone in the traditional pay as you set up. You won’t incur charges when you have got 30-day bundle. Charges will only apply when making chargeable calls to special or premium rate numbers, in which case you will need a credit balance on your account. Every Pay As You Go network in the UK enforces a minimum call charge, some are relatively low but with EE charging 35p you can quickly incur large charges or end up paying 35p when the recipient never even answered the phone as it went to voicemail. In virtually all cases the minimum charge is the equivalent for the price of a one-minute phone call. So you’ll still be charged for a full minute of calling even when you hang up the phone in under 60 seconds. As you can see in the table above, there are a handful of networks that bill on a per-second basis and the majority charge on a per-minute basis. Per-second billing is always going to be the cheaper option for customers but guess what? Most networks operate on a per-minute billing basis. On a per-second basis, you are charged for the exact length of your call. For example, giffgaff charge their calls at 15p/minute and bill per second. If you were to make a phone call lasting for 2 minutes and 30 seconds, you’d be charged 38p for the call (that’s 2.5 minutes x 15p per minute = 37.5p in total). On mobile networks that use per-minute billing, phone calls are rounded up to a full minute regardless of the call time. For instance, a phone call lasting for 2 minutes and 45 seconds would be rounded up by the network to a full three minutes. So on EE at 35p per minute, you’d be charged £1.05. How do I keep my pay-as-you-go SIM card active? All you need to do to remain active on most networks is to make at least one call, send one text or access the internet which uses data at least once every 180 days. You can see the specific expiry policies above. If my SIM card is disconnected, do I lose my number? Not always. Some operators like Asda will suspend your account but give you a chance to reactivate the sim during a 90 day grace period. However, once your number is recycled, it’s gone forever. My PAYG SIM has been disconnected. Can I get my credit refunded? In many cases, yes. Although many providers don’t automatically refund leftover credit on an account so you will need to chase. For more information about any of the pay as you go sims and their prices listed on this page, simply click through to the mobile network’s website. Right now we recommend giffgaff and Asda Mobile are our top two pay as you go deal providers, they offer a great mixture of price, coverage, reliability and flexibility. If you have any questions about pay as you go, have some info we’ve missed or a correction please contact us. We respond to all enquiries within 24 hours.